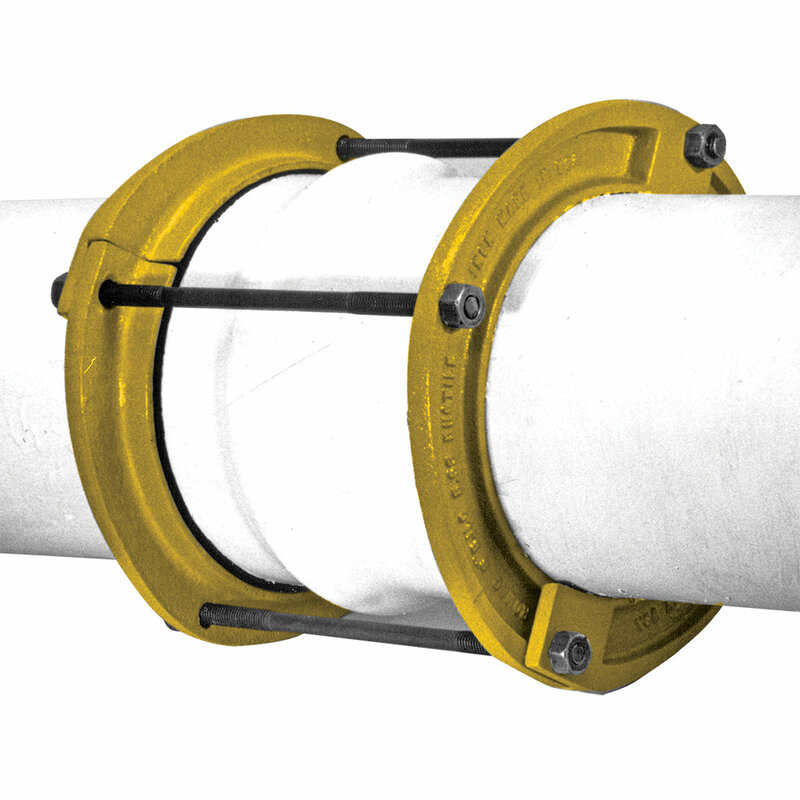 USE Provides fast, economical means of repairing or preventing leaks in ductile iron and/or rubber gasketed joints. COMPATIBILITY Ductile iron and cast iron pipe. 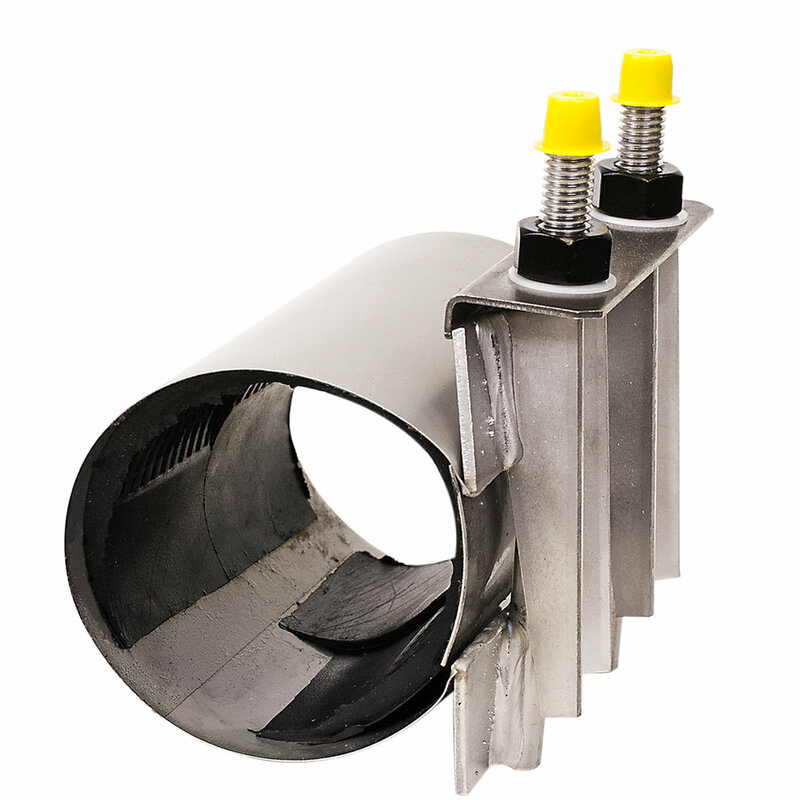 LEAK CLAMP The bell ring and spigot ring are made from mild steel meeting or exceeding ASTM A 36. GASKETS Compounded for water and sewer service. Meeting the requirements of ASTM D 2000. Other compounds available on request. BOLTS AND NUTS High strength low alloy steel trackhead bolts or allthread rod. National coarse rolled thread and heavy hex nuts. Steel meets AWWA C111. Type 304 and 316 Stainless Steel bolt material optional. COATINGS Shop coat applied to BJLC parts for corrosion protection in transit. Fusion bonded epoxy, liquid epoxy and other coatings available on request.